To the ancient Greeks, Romans and Egyptians the rising of the star Sirius signaled the start of “The Dog Days of Summer” when the oppressive heat was attributed to causing madness, war and even befouled the taste of wine. Though we are pretty sure there are no evil spirits in the air; hot weather, sun exposure and over exertion can lead to serious consequences that could lead to death if not properly identified and treated. A big part of the body’s function is temperature regulation. In hot weather the body tries to cool itself by releasing heat through sweating. Under normal circumstances the evaporative cooling is enough to counteract the heat, but lack of hydration, over activity and weather conditions such as high humidity can push the body to the limits. Heat Cramps– Heavy sweating caused by over exertion in the heat is going to cause an electrolyte imbalance which will contribute to muscle spasms and cramping. The body will also attempts to cool itself further by opening blood vessels near the surface of the skin to radiate more heat from the body causing redness. Heat Exhaustion– As the imbalance of overheating and dehydration gets more severe people will continue to experience: heavy sweating, clammy skin, a quickened faint pulse, headache, fatigue, dizziness and possibly fainting. Heat Stroke– This is the body no longer coping at all with the extreme heat and is a serious condition that requires emergency care. In addition to the symptoms of Heat Exhaustion, skin can be reddened, but hot and dry as dehydration worsens. Other symptoms include confusion, abdominal cramping and a body temperature of 103 degrees or higher. 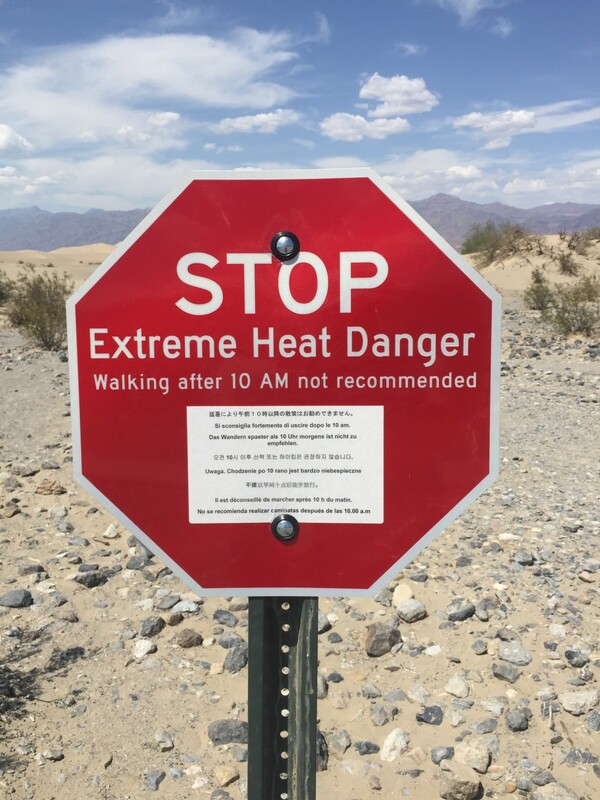 *****Danger Warning***** Heat Exhaustion and Heat Stroke are serious medical conditions as the body is literally cooking and serious complications can occur such as organ damage and even death. People suffering from either should call 911, stop all activity, get in the shade and attempt to cool off using cold compresses or cool water. Clothing– The proper clothing for hot weather should be light in color to reflect the heat, be light weight, allow airflow and provide maximum coverage. Included with your clothing should be a hat and sunglasses to protect the eyes from glare and sun damage. Sunscreen– The results of a sunburn is exactly the same as being exposed to an open flame. Pain, blistering and detrimental changes in your body’s thermal regulation can occur. The proper wearing of sunscreen should be part of your outdoor pursuits year round. Skin cancer is considered highly preventable, but it is still a big problem for active people who are exposed to the sun at a much higher rate than the average person. Make sure your sunscreen is at least SPF 15, broad spectrum (blocks UV A and B wavelength) and not expired. When applying sunscreen be sure to use it liberally at least a half an hour before going outside. Re-apply every two hours or after swimming, sweating or towelling off. Preparation– Most people that visit the Great Outdoors and get themselves into trouble do so because they did not properly prepare themselves for the environment they were entering. Proper hydration and electrolyte balance begins days before your hike not the morning of. Avoid drinks that are diuretics such as caffeine and alcohol they will only compound the effects of dehydration. You should be carrying extra water, sunscreen and have a communications plan just in case there is a problem. Be honest about your abilities and the shape you are in. Even the most physically fit can be taken down by extreme heat after extended exertion. If you are out of shape and not acclimated to the environment you are starting off with a huge deficit and could be placing yourself and others at risk- especially in isolated areas where distance and terrain can delay emergency response times. 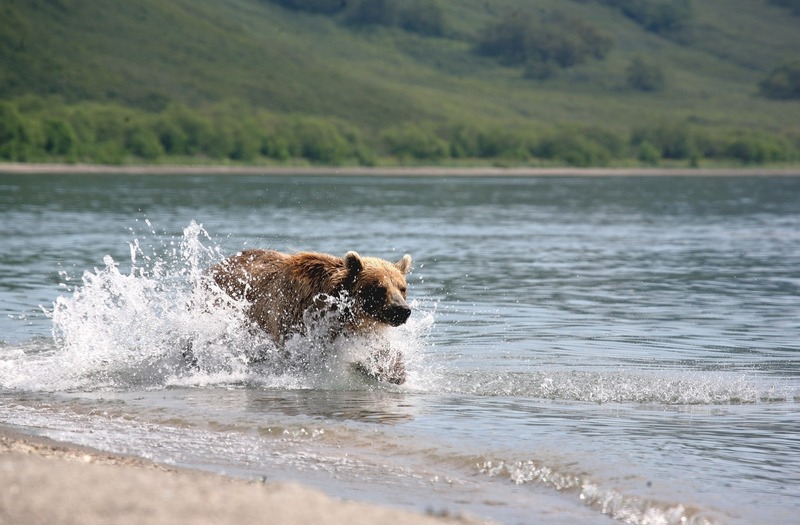 Limiting Activity– Take a cue from Animal Kingdom and take it easy during midday heat. If you are going to venture out when it’s hot, get an early start. You should be done by 10:00 am or earlier- not just getting started. This of course is a general guideline, if it’s nearing triple digits by breakfast time you need to have the courage to change your plans to something less strenuous that hopefully includes lots of shade and cool water. Going on a helicopter ride while on vacation is tons of fun, but it shouldn’t be a medivac- Don’t die dumb! Stay Cool, have an awesome summer!